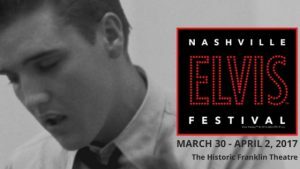 Music City will host the Nashville Elvis Festival on Thursday, March 30 at Franklin Theater! Expect to see fans from around the globe come together under one roof to celebrate the life of the King of Rock and Roll. There will be live music, celebrity appearances, and a chance to hear from some of Elvis’s closest friends perform. Learn more and get tickets here.